The LA-based legal team that prevailed in Vergara v. California, convincing a California judge to strike down state laws governing teacher employment, has been brought into a similar lawsuit now underway in New York. Students Matter, sponsor of Vergara, said today that Vergara lawyers, including Ted Boutrous and Marcellus McRae, would represent the plaintiffs in Davids v. New York, which was originally filed July 3. No trial date has been set. Davids seeks to declare unconstitutional statutes in New York law similar to those in California, preventing school administrators from taking into account the interests of students in retaining effective teachers when making dismissal and layoff decisions in economic downturns. As plaintiffs claimed in Vergara, the New York plaintiffs say the state laws have a substantially negative impact on students’ education by keeping ineffective teachers in the classroom and dismissing effective teachers. Plaintiffs in the Davids case are 11 public school children from New York City, who claim to be at substantial risk of being harmed as a result of the state laws. 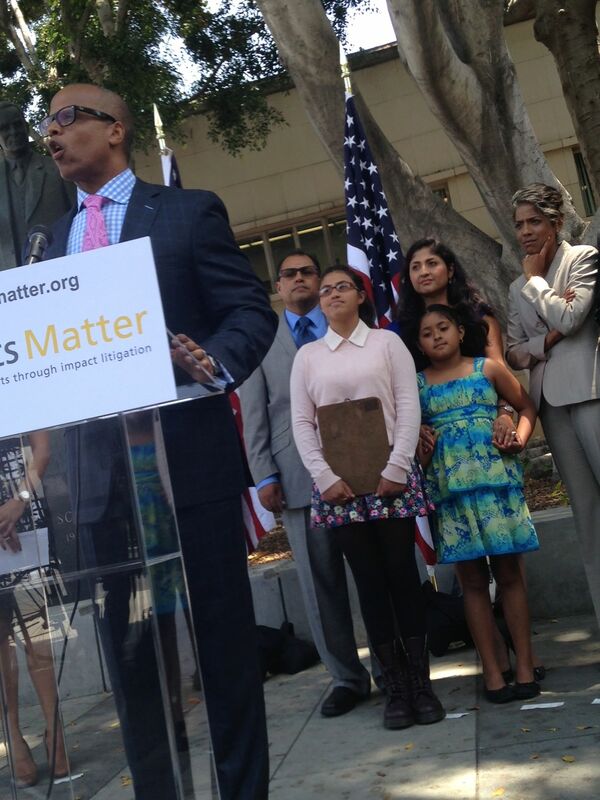 Students Matter is an organization that was founded by Silicon Valley entrepreneur David F. Welch for the sole purpose of challenging the California laws.